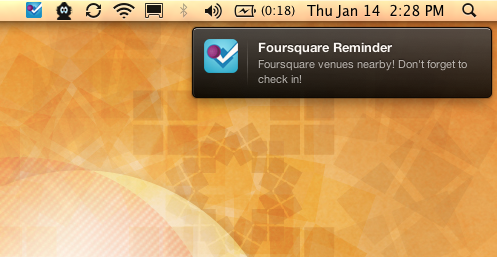 Give your phone a break with this foursquare app for mac. November 2011: Sorry, this app no longer works and is not being maintained. 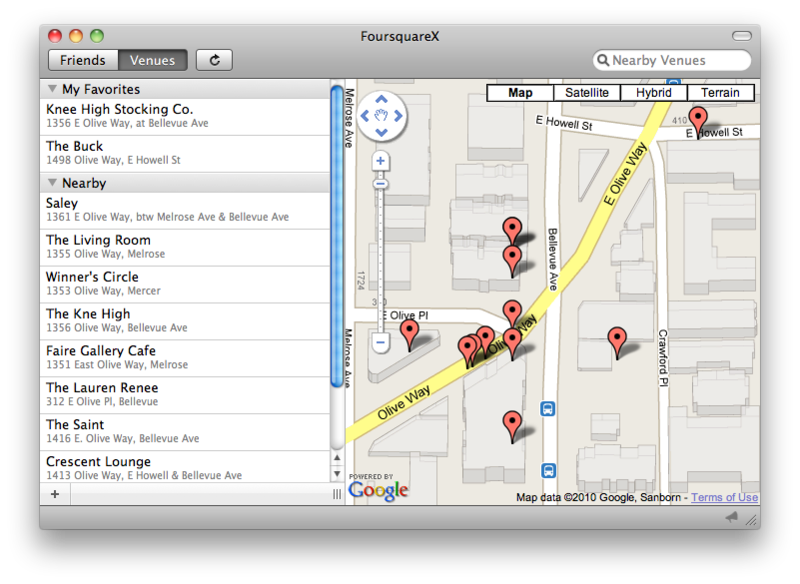 Your location is automatically detected, making checking-in easy. 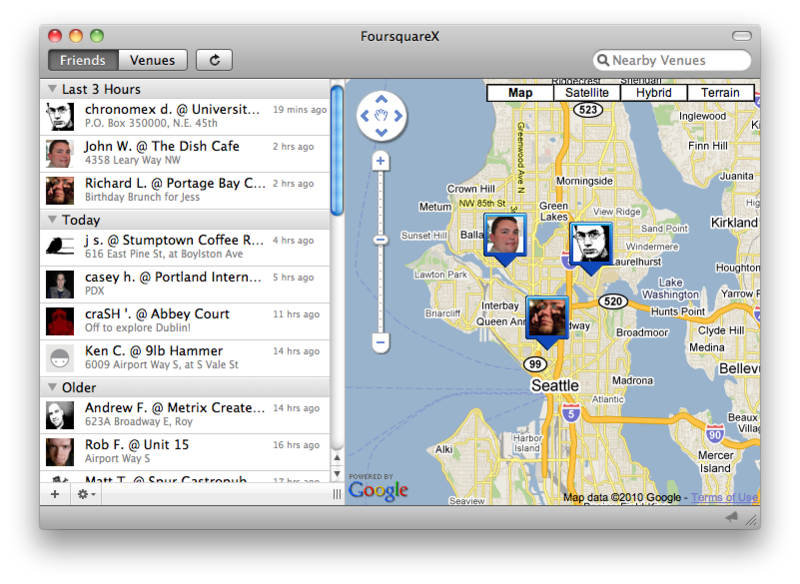 Know where all your friends are at with a quick glance at the map. Learn what's hiding right around the corner. Get notified right away when your friends check in. See who else checks in wherever you are. Favorite venue nearby? Be reminded to check in.